Such a tiny little thing, table numbers. Just a small piece of your wedding decor, and yet, they can make a huge impact if you allow them to. There are so many different ways to number your tables…. or hey, throw out the numbers and give them a name! 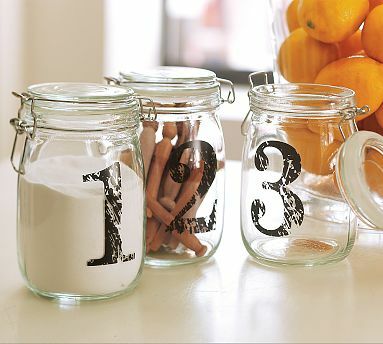 This is such a fun way to customize your overall table layout and personalize your tables even further. If you are sticking to numbers, make them special. 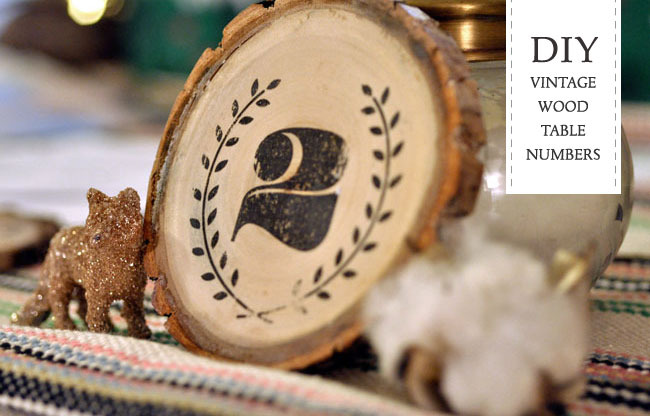 Please do not allow your venue to supply your table numbers! Trust me, they will look out-of-place on a great table. So sad to see a gorgeous table all decked out with linen, chargers, flowers, and then some black and white, block letter, plastic table number that was provided complimentary. I know it may seem like an expense that you can save yourself, but know these can be done well for not so much cash, and it’s worth it! 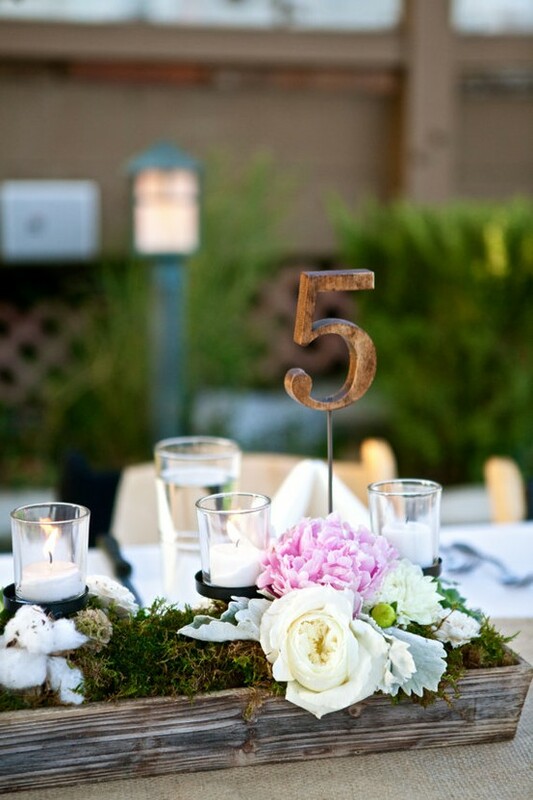 A little goes a long way with table numbers. 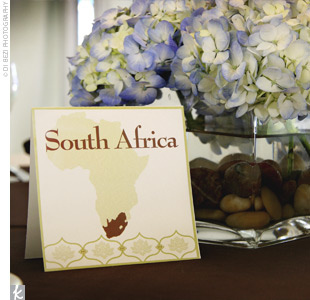 Consider having them done in your matching stationary, so they match your place cards, invites, etc. Doing your invites yourself? Order some extra paper and print them at home! Cheap frames will work to place them on the tables or even a stand that your venue may have for you to borrow. Want to get more creative? 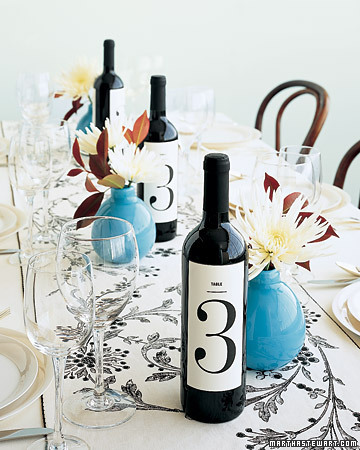 A wine bottle with a beautiful number on it is fun for a wine/vineyard wedding, or a standing wooden number fits right in to a rustic, down home wedding. 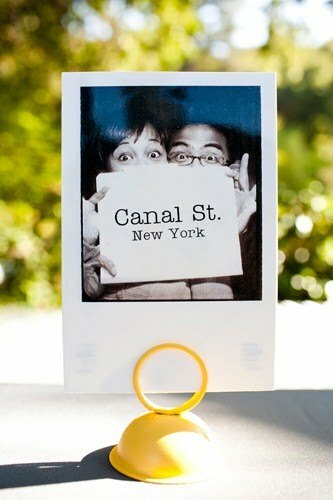 One of my favorite table number ideas was using the bride and grooms photo at each age. 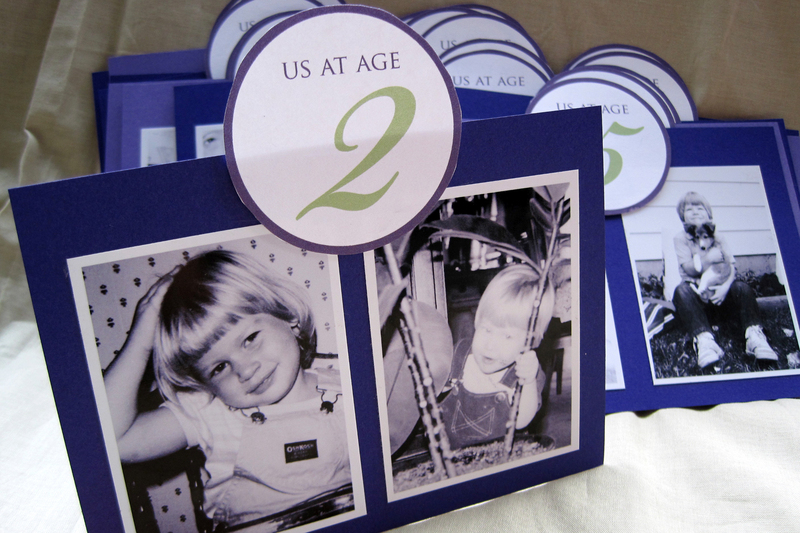 For example, Table #1 read “Us At Age One” with pictures of both the bride and groom when they were one year old. Table #2 had photos of each of them when they were two. 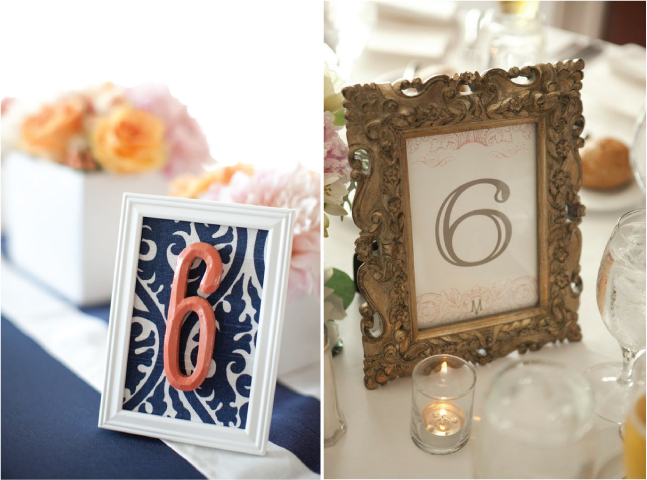 The table numbers weren’t just numbers, they were conversation starters at the table! Want to name your tables? Make this personal ladies! Where are your favorite travel spots? Places you have traveled together? If you are a huge Movie fan, use your favorite movie titles. This is really wide open for you to make it special and showcase some fun facts about the two of you as a couple. One of my couples was going to Europe for their honeymoon, so their table names were all places they were planning to visit on their trip. Any way you go, make it yours! Take a look at some of these photos of some of my favorite numbers/names…. hope it sparks some great ideas! Previous Post that costs how much? ?